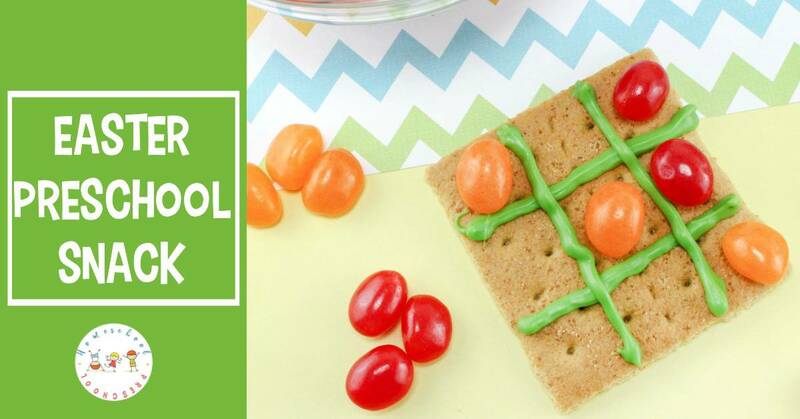 You will be the coolest mom in your play group when you bring this fun jellybean tic tac toe Easter preschool snack to your next playdate! 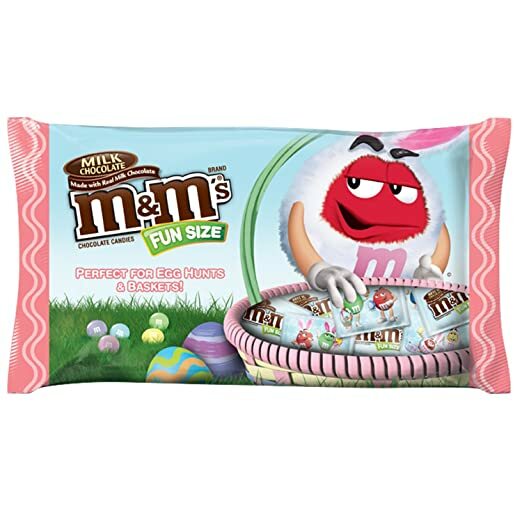 Kids love to play with their food, and this Easter snack for preschoolers gives them permission to do just that! You can make up the “game boards” ahead of time or let your preschoolers make their own. 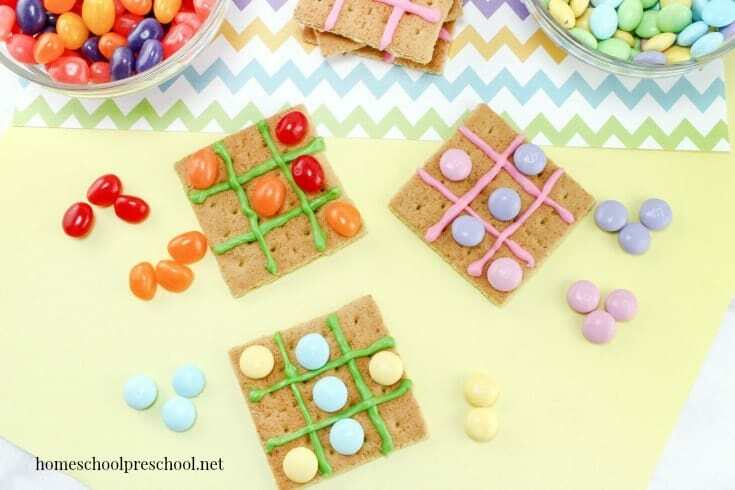 Either way, they’ll have fun while creating, playing with, and then eating this Easter Jelly Bean Tic Tac Toe snack! It’s an Easter snack and an Easter craft all in one. 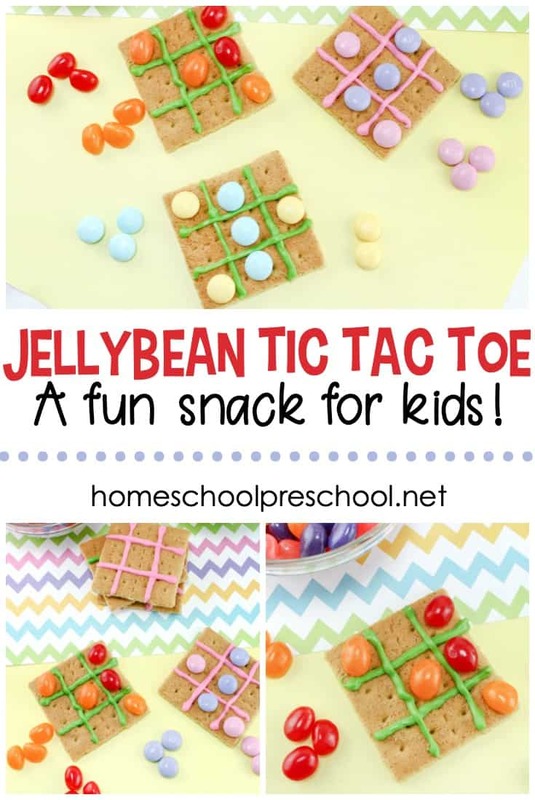 This Jelly Bean Tic Tac Toe snack is easy enough to make that your preschoolers can give you a hand. Actually, once the candy melts have cooled a little, they may be able to make them all on their own. 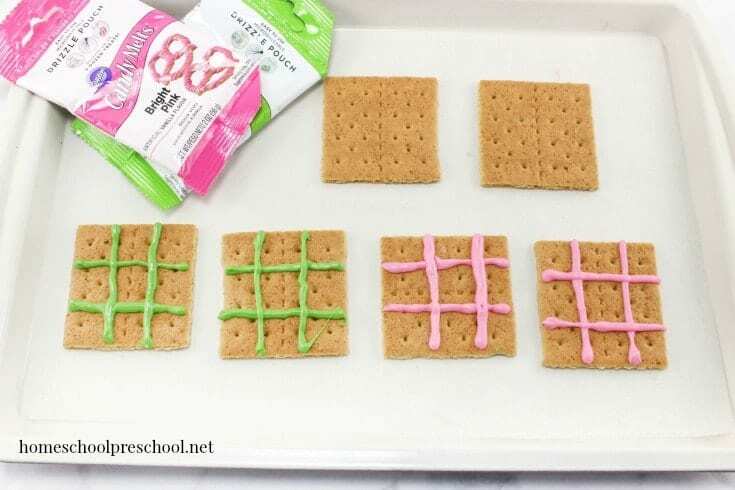 Then, they’ll have fun playing game after game of Tic Tac Toe on their graham cracker game board. 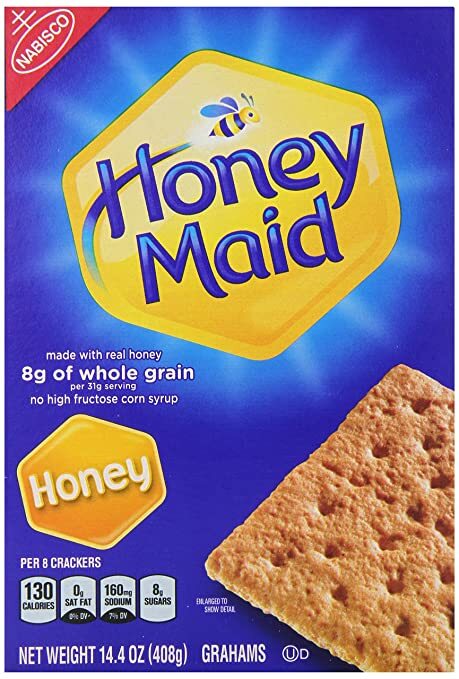 If they don’t eat it first, that is. Note: Your local grocery store may have Candy Melts in a drizzle pouch which will make this project a little easier. With a drizzle pouch, you won’t have to transfer your melted chocolates to another container (squeeze bottle or ziploc baggie) to decorate your snacks. 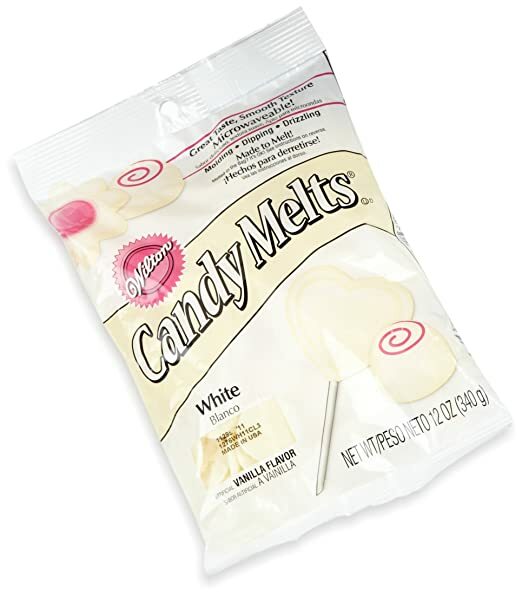 Heat the candy melt pouches according to package directions. 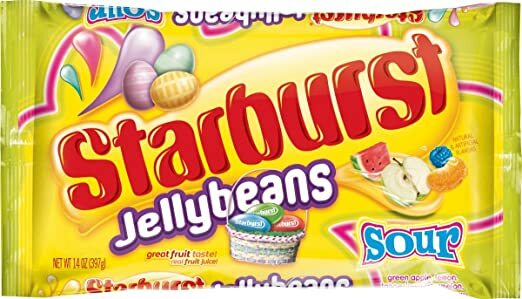 If you use the candy pouches, you can just snip a corner and squeeze. If not, you’ll need to transfer the melted chocolate to a ziploc bag and snip a corner to squeeze. Let this set for about 10 minutes or until the chocolate hardens. Now, these little game boards are ready to use. Grab a friend, take some candy pieces and start a game. You win if you get three in a row!! How many games can you play before you gobble up your game board? 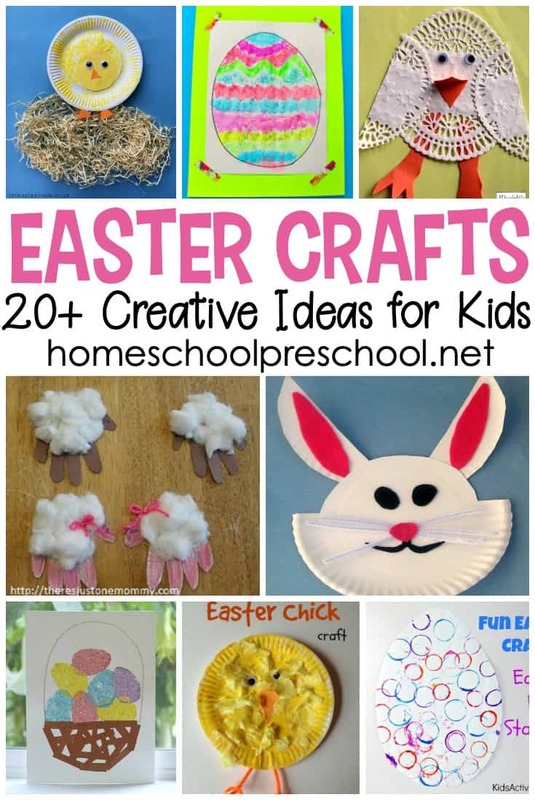 Are you looking for a unique Easter craft for preschoolers? Let them practice lacing these felt Easter egg pouches. Then fill them with candy! 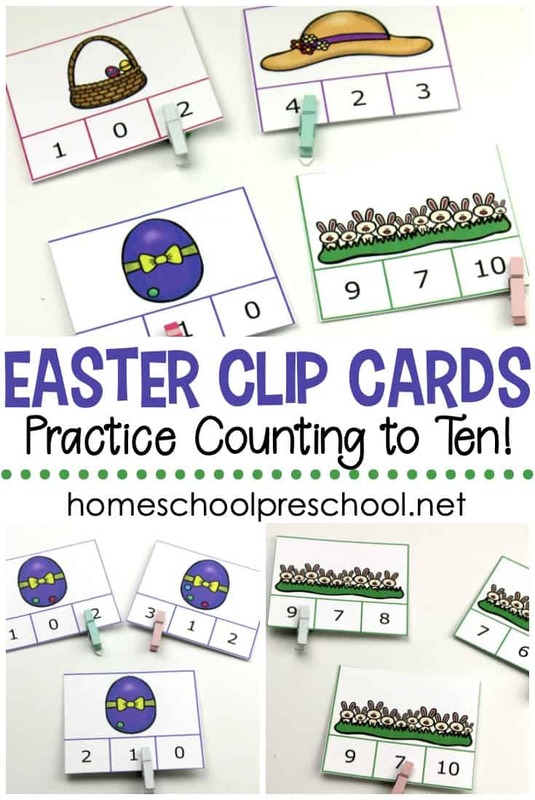 This Easter printable is packed full of early math and literacy activities! 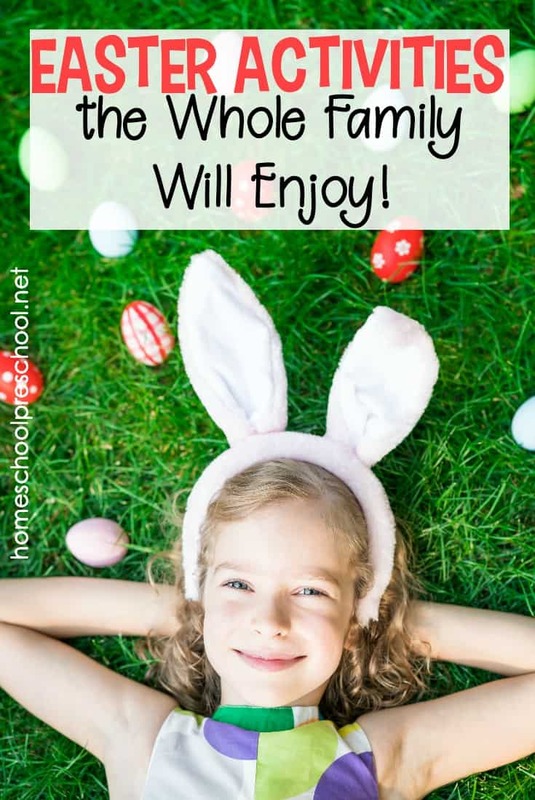 With over 30 pages, it’s sure to keep your preschoolers busy all season!